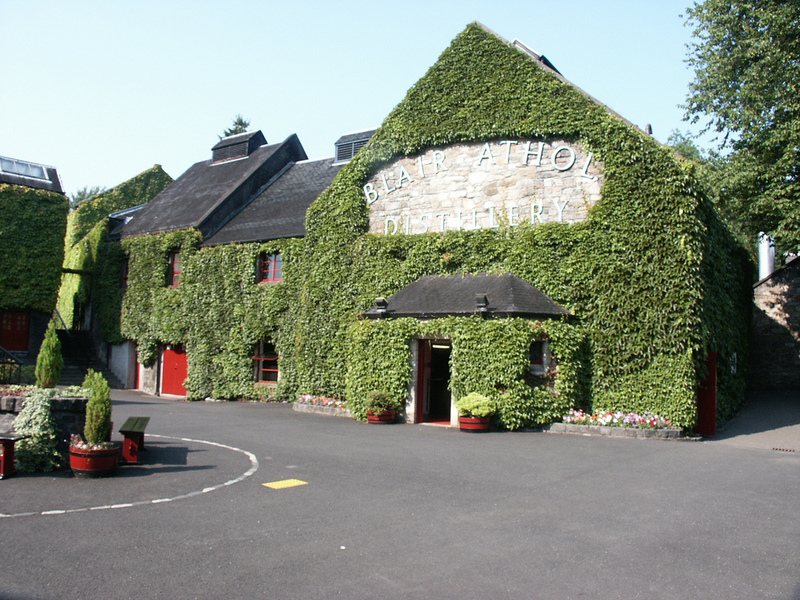 Pitlochry has two distilleries - Blair Athol on the main road through town and Edradour about 3 miles away. It also has a well established Whisky retailer, Robertsons, and recently acquired a new Royal Mile Whiskies' Drinkmonger shop. 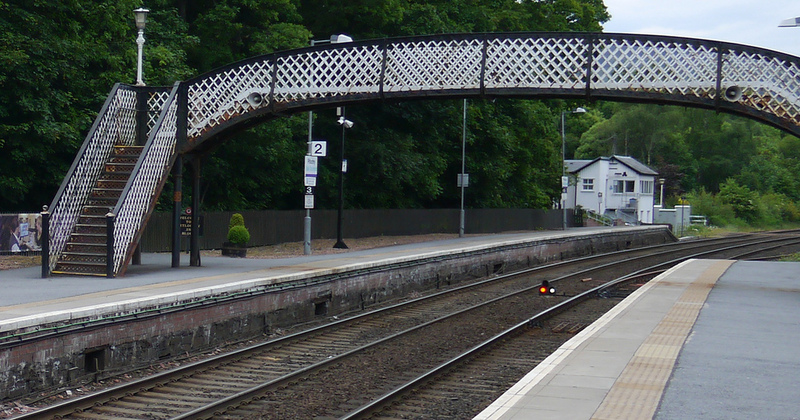 Pitlochry is the most northerly town that the A9 and the Railway pass through before heading into the heart of the Highlands. It also is the final link in the Tummel Valley Hydro Electric Scheme, which involves a dam and power station quarter of a mile from the middle of town. 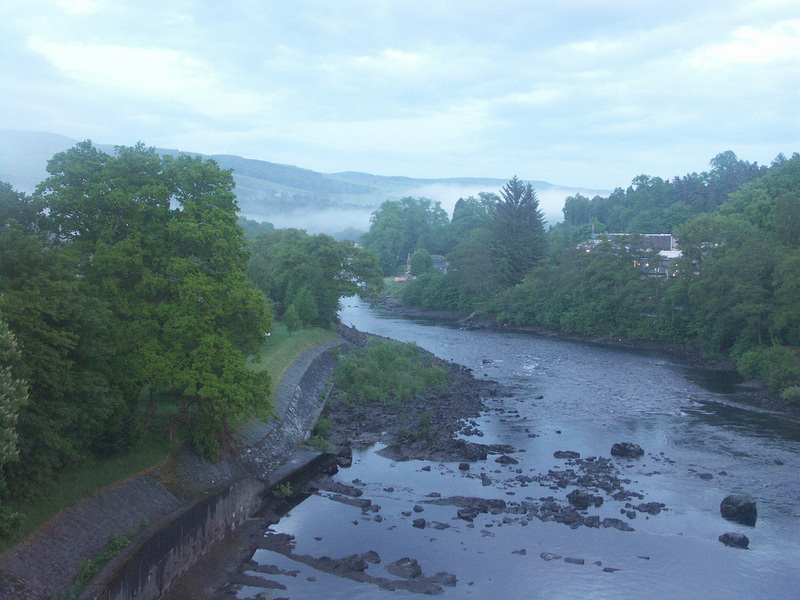 The dam provides a walkway across the Tummel to Port-na-Craig and the Festival Theatre. The dam walkway involves lots of steps - I got a bike across, but wouldn't recommend it - there's a pedestrian suspension bridge just downstream (it replaced a ferry in 1913) which is a better option. 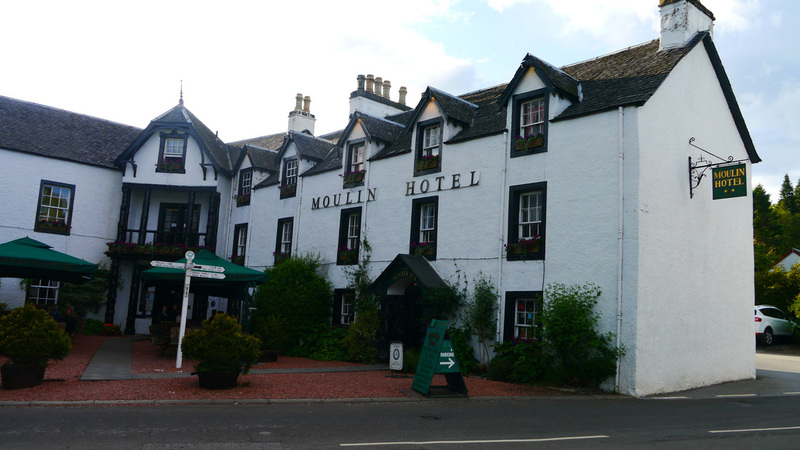 The village of Moulin is on the outskirts of Pitlochry, and on the lower slopes of Ben Vrackie (841m) which dominates the town. Pitlochry is on Cycle Route 7. Stayed at this B&B in June 2012 - excellent accommodation, interesting breakfast - speciality of omelettes with a choice of fillings. I was sceptical at first, but having seen some of the other guests enjoying them, realised my error. Tomcroy Terrace is off East Moulin Road which is a steepish climb with heavy luggage - working your way across from Bonnethill Road is an easier option. Co-Op WH Smith and Edinburgh Woollen Mill are the only other big chains represented in town, but there are plenty of other shopping opportunities, particularly for outdoor activities. One shop has a Xmas tree in the window even in June - the Christmas Emporium is open all year (sad really). I refuse to provide a link.